Here’s what’s up in the world of TV for Sunday, December 2. All times are Eastern. 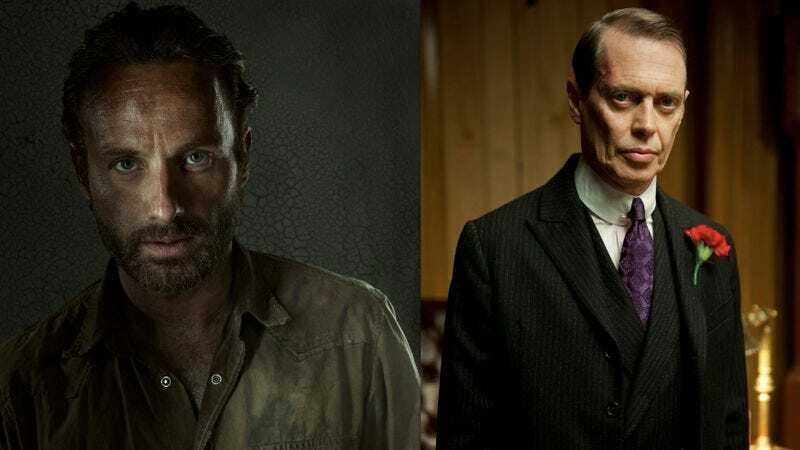 The Walking Dead/Boardwalk Empire (AMC/HBO, 9 p.m.): There are several “finales” on the schedule tonight, but these are the ones that truly count. Once Upon A Time and Revenge will be back in a few weeks, but The Walking Dead’s going into hibernation until the middle of February—and though HBO has ordered a fourth season of Boardwalk Empire, there’s still no indication of when it will air. And considering the amount of blood (from unpredictable sources) that both series have spilled in their latest runs of episodes, both episodes are bound to carry the full weight of the term “finale.” And if they don’t, Zack Handlen and Noel Murray still have the holiday season to look forward to, we suppose. Once Upon A Time (ABC, 8 p.m.): When Captain Hook meets the Queen of Hearts, it’s a match made in—well, the wildest fan-fiction dreams of a serious Disney geek, probably. Oliver Sava doesn’t foresee the pair’s croquet date ending well, however. Bob’s Burgers (Fox, 8:30 p.m.): After proving she can be the center of a decent episode last week, Tina pushes her luck by crashing the Belcher family car. Rowan Kaiser can take the dent out, no problem—but paint and detailing will be extra. Revenge (ABC, 9 p.m.): Adventures In Vague Revenge Plots, Part XVII: “Nolan must face an element from his past.” An element, eh? Like from the periodic table? Noted noble-gas enthusiast Carrie Raisler hopes it’s Argon. Dexter (Showtime, 9 p.m.): “The Dark… Whatever” goes the title of the latest Dexter, either demonstrating exasperation for its protagonist’s rationalized homicidal tendencies or expressing a shared fugue state among the writers and producers. If that’s the case, Joshua Alston will work harder than ever to convince people that season six was a hallucination. American Dad! (Fox, 9:30 p.m.): In terms of War songs that could lend their titles to an American Dad! episode, Kevin McFarland thinks “Why Can’t We Be Friends?” is a pretty good choice. Not as good as the little-known B-side to “The World Is A Ghetto,” “I’m A Comedically Over-zealous Agent For The CIA With An Extraterrestrial Living In My Attic,” but it’ll do. Homeland (Showtime, 10 p.m.): The bonds between the Brody and Walden families are beginning to break, and Todd VanDerWerff is going to be there with a box of tissues and a supportive ear when the vice president finds out that his political BFF and potential running mate has some big, terrorism-shaped skeletons in his closet. The Simpsons (3 p.m.): Nathan Rabin goes to “Homer Goes To College,” where his antics alongside the members of Chug-A-Lug House just might earn him the distinction of U.S. Secretary Of Partying Down. Be The Boss (A&E, 10 p.m.): Not an ill-timed competition to replace Kelsey Grammer at the center of the now-canceled Boss, but rather an American Dream-resuscitating contest to be the first person on your block to run their very own Melting Pot, Auntie Anne’s, or Jazzercise franchise. The Two Faces Of Prince Harry (10:30 p.m., E! ): Scarred by a freak acid-throwing incident in a Gotham City courtroom, Prince Harry of Wales now leads a life of crime, dictated by the flip of a… Oh, not literally two faces? That’s very different. Never mind. Pulp Fiction (Cinemax, 8 p.m.): In light of VH1’s night of looking backward (it’s also closing out its 100 Greatest Kids Stars countdown this evening), here’s a transmission from the other side of the ’90s that probably won’t sneak into Miss You Much: The hip, stylized-yet-indifferent marriage of arthouse gold and grindhouse trash that nabbed Quentin Tarantino an armful of awards (but no Oscars) and made sure an entire generation knows what Marcellus Wallace looks like. 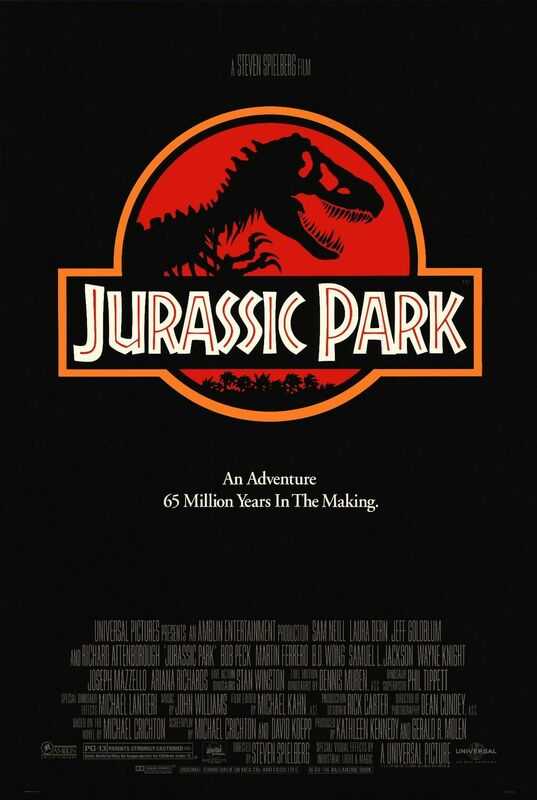 Jurassic Park (Encore, 8 p.m.): Or you can go with the dinosaur adventure that took 65 million years to make, the ’90s-blockbuster butterfly that flapped its wings in Peking and made it rain computer-generated effects forevermore in Hollywood. Sunday Night Football: Eagles at Cowboys (ESPN, 8:20 p.m.): A matchup so goddamned American, just saying the names of the competing teams sounds like Uncle Sam slamming into a side of beef—even when both franchises are under .500 and have struggled all season. Burn Notice (Thursday): Weekend programming is apparently the first thing to go in the lead up to TV’s upcoming winter break (Grimm’s bogged down in a comparative-lit paper, while Fringe is busy studying up for its finale exam), so give yourself a break and enjoy guest star Patton Oswalt in a lightweight Burn Notice installment. Scott Von Doviak can’t wait until next semester, when everything on cable TV’s coming up Patton!